Some people show their love of books by doing everything they can to keep them looking new. Me? 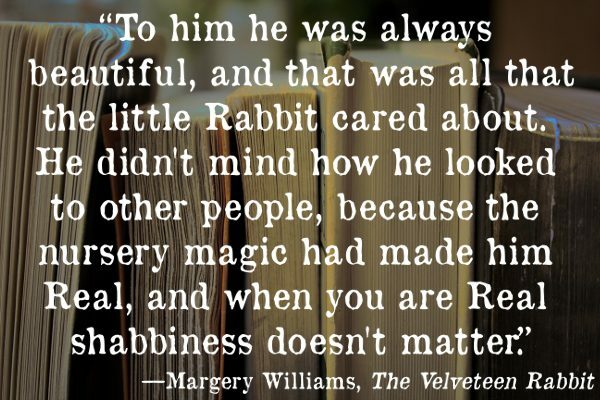 I’m more like the little boy in The Velveteen Rabbit, who loved his old stuffed bunny until it was nearly falling apart. 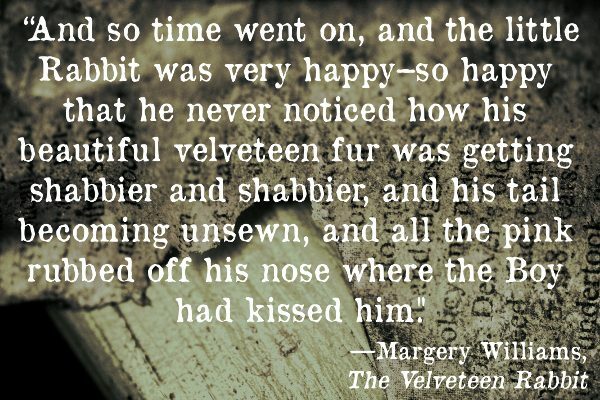 If that sounds familiar, here are five quotes from The Velveteen Rabbit that will make you proud of your less-than-pristine book collection. 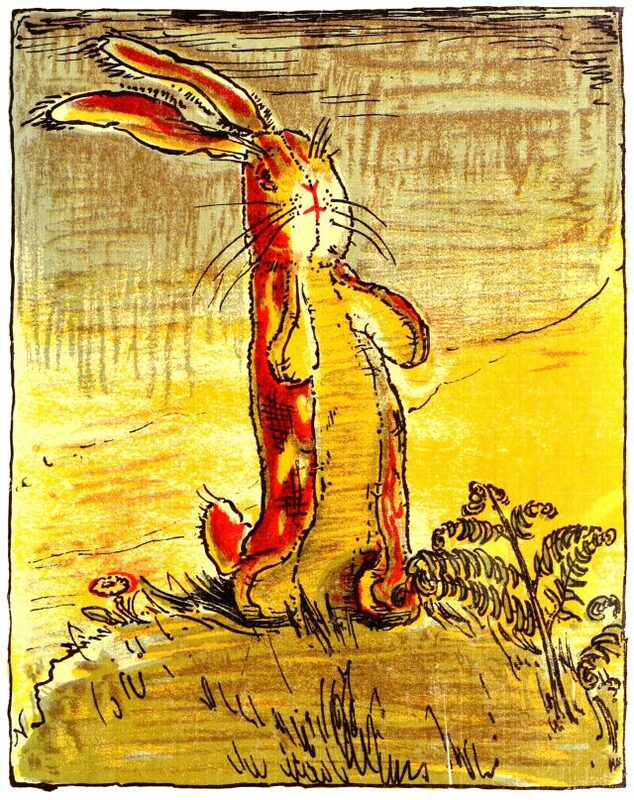 Your favorite tattered book was once, like the little velveteen rabbit, “really splendid.” The pages were smooth and the cover was clean. 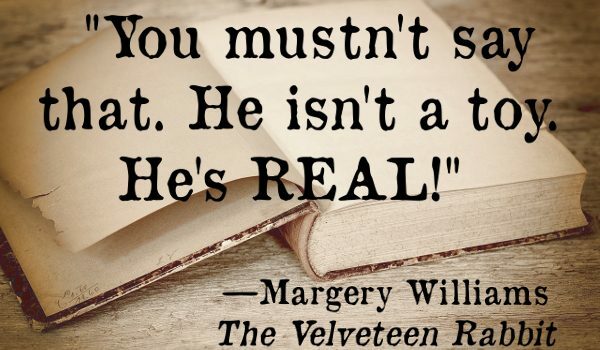 But you didn’t just read that book. Oh, no! You loved it—not just the story, but the book itself. 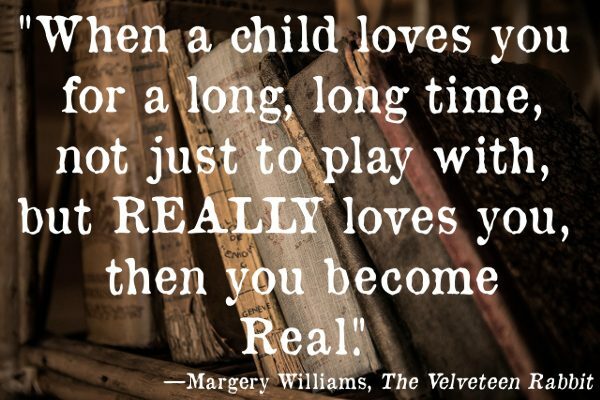 And you went on loving it until that book was as real to you as any friend. Each time that you handle your book, lovingly opening and closing it, the cover is wearing thin around the edges and the pages are being bent and even acquiring a smudge here and there. Do you notice? Of course not! You are too happy, lost in the enthralling story that your friend is sharing with you. 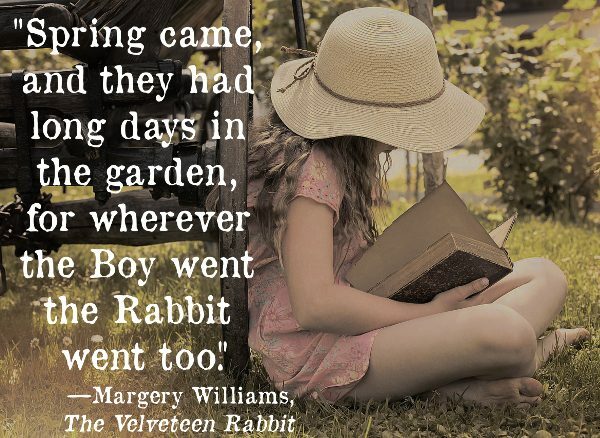 Perhaps your books might look nicer if you kept them inside and never let them venture out into the world of dirt, rain, food, and all the other dangers lurking in the beyond. But of course, you can’t do that. No matter how many times you have read them, you are so gripped by the stories that you carry them with you everywhere you go. Fortunately for you and your book, looks don’t matter a bit. That book is beautiful to you. Each time you open it, you are filled with memories. The time you dropped it in the bathtub. How you felt the first time you read it. The time it made you laugh until you cried. You would never trade your precious, shabby friend for some new, soulless copy from the bookstore. What book have you read so often that it’s falling apart?